I’m back from Sedona, where we were commissioned to photograph a big surprise 40th birthday weekend. And what a weekend it was! 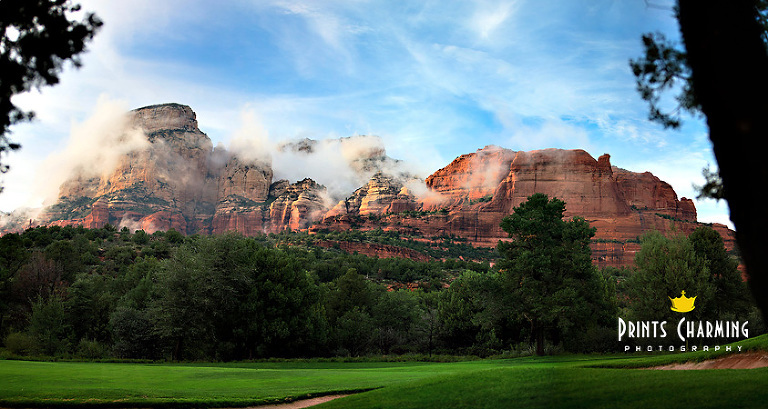 If you haven’t been to Sedona, or to the Seven Canyons golf course, it’s spectacular. This panoramic photo hardly does it justice. It rained over lunch, but burned off by mid-afternoon, leaving us with some awesome weather for the day. It was quite an honor to be there, along with Mark’s eighteen best friends who flew in from all corners of the country to celebrate and honor Mark. Huge props to Mark’s wife, Jennifer, who absolutely made every part of this birthday weekend amazing and memorable. I think I heard the phrase, “This is just ridiculous” (used in a good way) more this weekend than ever before. Jennifer went way over and above to make every little detail amazing. There was not a man there who will forget that weekend.